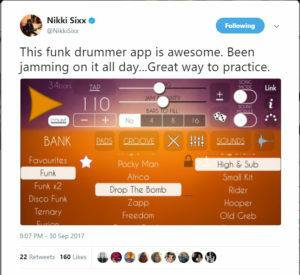 Funk Drummer is the grooviest drum machine with the ability to improvise like a human drummer. 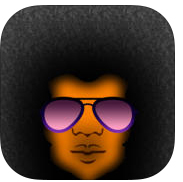 The essence of authentic Funk, from classic R&B to fusion. The new Live Pads lets to play live sessions on the way with 8 assignable pads and buttons for fills, intro, end with midi controls. And now, you can synchronize with any app easily with Ableton Link. – More than 150 funk grooves divided into banks: Fusion, Odd Times, Disco Funk, Ternary rhythms and more. – 35(+6 for Raters) multilayer sounds with 3 different hits (ghost note, accented note and special) x 3 RoundRobin alternating samples. – Round Robin alternating samples, combining 3 layer samples of each stroke makes a extremely natural sound. – Several Random generators to get creative ideas instantly. – Song Mode. 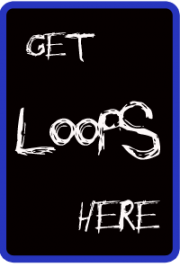 Extra fast tool to create rhythmic structures for your song in seconds.